TLDR: 15 years ago I left AAA racing game developer, Ratbag, to form Hyperfocal Design, which sells only sky textures (hemispherical sky photos). I've since been able to develop indie games mostly full-time using the passive income. I was in high school when I began working with 3D software, and this new obsession eventually landed me a job at Ratbag. While there, I helped make tracks for the PC racing game Powerslide, and designed Dirt Track Racing. We made it part way toward an unreleased car combat game that looked a lot like GTA meets Mad Max, before I left to form my own company. I'd been inspired by reading Robert Kiyosaki's book, Rich Dad, Poor Dad. With a little background in photography, and experience using textures in 3D, I somewhat blindly jumped ship with the thought to make some random texture maps and sell them on Turbosquid. I drifted towards doing skies, because no one looked at me like I was a big weirdo, as they would when I was taking photos for dirt textures! Plus I could go to the same location every time and get a different end product! To fund the business, I sold my Nissan Silvia sports car and promptly ran out of money a year later(!). After scraping the bottom of my bank balance for another year after that, Hyperfocal Design began making decent money, and since that point has been a fairly solid, reliable source of passive income, meaning I don't have to actively work on the business to make money. That's only partially true, of course, since the longer I neglect the business, the less it gets promoted, the less updates go out, the more competition comes in, and the less money I make. During this time, I very rarely ever worked on Hyperfocal every day, except for the latest 1-year stretch. Mostly I'd put in a few months here and there, which allowed me more time to do whatever else I liked - semi-professional poker, training for triathlons, traveling, surfing, bread making, and whatever else I was interested in at the time. While I've been comfortable from Hyperfocal's income, it doesn't bring in the big dollars or allow me to hire employees or anything like that. But with a pretty low-key lifestyle I haven't had to worry too much about money, while simultaneously not being chained to a desk 8 hrs a day. I'm also confident that if I had a higher income target, I could have certainly made it happen (as I did recently in 2015 where I dedicated the whole year full time). When Ratbag went under, I was particularly glad that I'd gone and formed a business where no single entity (a publisher in this case) could 'fire me' or cut off my entire income stream. For Hyperfocal to die off, I need to lose every one of 100's of customers a year, which isn't likely. 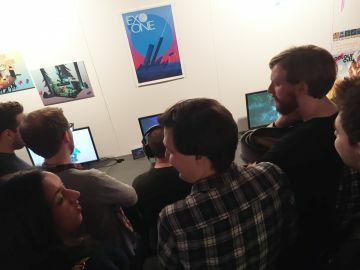 So since I began making games again with Saxon 8 years ago, I've been mostly making indie games while Hyperfocal pays the bills. If Hyperfocal ever started declining too much, I was perfectly free to take some time to prop it up. I wasn't forced either way to do one or the other, and I was never at risk of sudden and complete income loss. I've also been fortunate that the zombie games we worked on together contributed a little to some additional passive income, which has certainly been a nice additional safety net. If you're a game developer, or someone with skills in 2D/3D art, coding, sound, music, etc, there are good opportunities to create niche 'content', plugins, assets, etc that may help supplement your income, or fund your lifestyle entirely. Especially since so many game developers use Unity these days. What niches are under served or don't suffer as much from multiple, similar assets. Can be sold for a higher price. Lower prices typically = you dealing with more support issues. 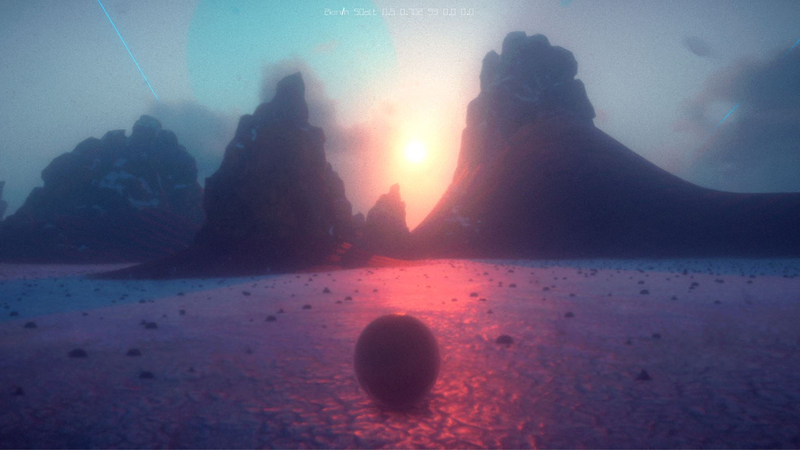 Real time volumetric skies are starting to look rather awesome! Having decent support and response time from plugin developers is incredibly important, especially when so many people like myself are solo or small teams that rely on that support to put a game out. To end with, I'll just say I'd encourage you to think about whether you have some skill that you can use to create products to help create your own passive income streams. As real-time graphics have gotten increasingly realistic, often a product or 'content' can also be sold to people in film/vfx and architectural visualization as well. Depending on your skills, products could include art assets, sound/music libraries, plugins, a course where you teach something, etc. Perhaps the biggest challenge these days with almost anything, is that everyone is doing it - you will absolutely need to do some marketing and promotion! I also encourage you to put your face and name behind your business, to give it a personal angle. Throughout Hyperfocal Design's life, I've rarely put much if anything into promotion for my products, outside of sending an email to my newsletter. "Back in the day", I got by with newsletters + Google search, but you can no longer guarantee a good Google placing. In 2015 when I finally decided to stop being a wuss-bag and actually market Hyperfocal's latest product, I had my best year ever! It is hard, and your ego is on the line, but power through! 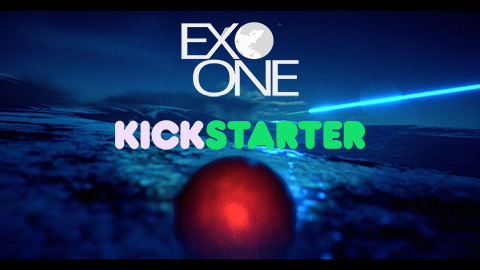 I'm currently Kickstarting Exo One, and the campaign is now in its final days. If you like the look of it, please consider spreading the word, thanks! There’s something zen about creating textures. And I don’t do music, but I do also do voice acting! Lol. Hi! Love this post. I’ve also read Kiyosaki and founded a company called FITmedia around creative use of technology and networking with collaborators (the goal being passive income to fund bigger plans for immersive education and permission marketing). John R. FoutsI am interested. I can play some music. Where would you recommend as the best place to get involved regarding music and games? Gaming is not my 'forte'. I can code too, but I code in the realm of business. Interested in exploring passive income streams as they are something I would like to actively seek out at this time. I will of course explore on my own, but advice is accepted freely. Hi John, I'm afraid I'm not sure re the music scene. Shouldn't be too hard to track down a huge number of sites that sell music/sound libraries. Or of course you could make your own site/do both. Don't forget you could try selling music on Unity's asset store too :) The trick these days is going to be how you stand out. I'd also imagine with coding that it'd transfer in some ways. Perhaps you'd lack some Vector/3D skills, but you'd be ahead in a lot of other ways. I'd also think about how your expertise in biz coding could help other developers on and off Unity's platform. I know, pretty general advice but...!